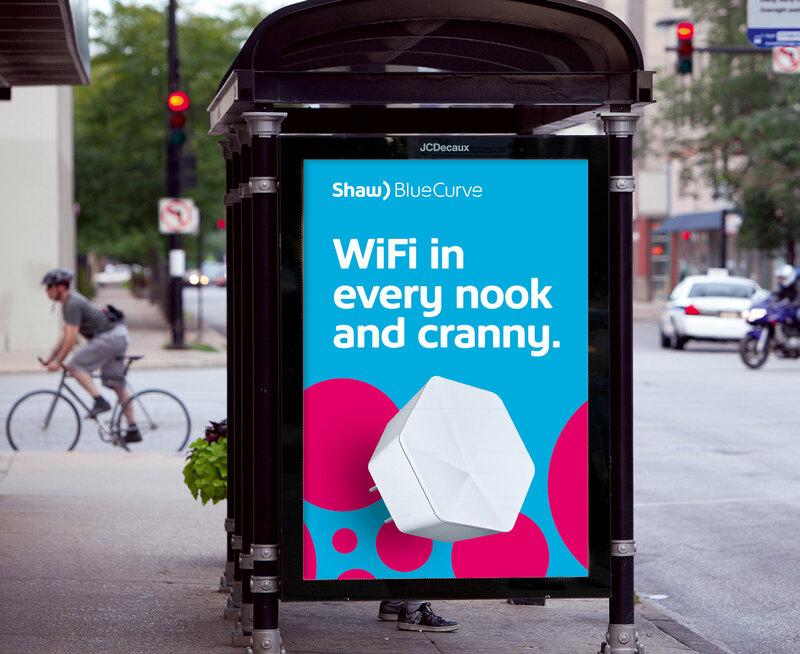 Shaw Communications Inc. today announced the launch of Shaw BlueCurve™ — a simple and powerful new technology that gives customers more coverage and greater control over their home Wi-Fi experience while helping redefine their relationship with in-home connected devices. "We are entering a bold new era that resets how we engage with our customers," said Katherine Emberly, President, Business, Brand and Communications, Shaw Communications. "Consumers will see that we are more confident, vibrant, and youthful — a reflection of the exciting changes we have made to our business and the energy we are bringing to the market." "Shaw BlueCurve is going to change the conversation about who we are and what we do for our customers, and that demands a fresh approach to marketing." The updated creative platform, which is in market today, puts customers and technology at the centre of the conversation and emphasizes the view that connected lives shouldn't be complicated. Shaw partnered with its agency of record, Vancouver-based Rethink, to evolve the visual look of the Shaw brand with a new, clean and simple creative approach highlighted by a newly introduced fuchsia accent. The refreshed brand platform combines a tech-forward showcase of Shaw's products and services with a strong customer-centric narrative. Shaw also worked with California-based Lexicon Branding, which has named some of the world's most successful brands, to develop the Shaw BlueCurve brand name and naming architecture.